Description: Marita is fed up with civilization, her family and her husband. So she turn her back on them all and goes to live on Tahitian island called “Bora Bora”. Her husband refuses to accept the situation and goes off in search for her. He eventually arrives at Bora Bora where he feels an outcast amongst the tranquility and the quiet, easy way of life. 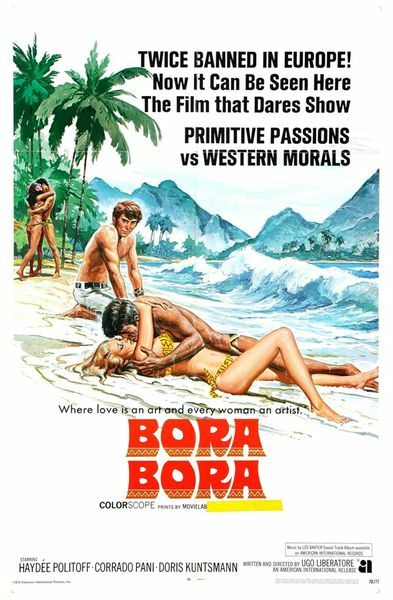 Finally, he finds his wife and experiences a great traumatic shock: he discovers her in the middle of making passionate love to another man, a Tahitian. The sight absolutely breaks him up. To show her that he is still a man he takes a native girl as his lover and he finds himself liking the primitive existence.